Starting a local mothers group was one of the best things I ever did. After I had a baby, I quit my full-time job as a bank manager and abruptly become an at-home mom. As a former career woman and fairly new resident of the area, I had no friends who were mothers — and my mom lived 800 miles away. My husband was gone a lot and I had no idea what I was doing with a new baby — just knew I loved my child fiercely. I felt very isolated until I read a short article about FEMALE (Formerly Employed Mothers at Loose Ends, as it was called at the time; it’s now Mothers & More) in a magazine. The name of the group described me exactly! So I decided to start a local chapter. Met with an administrator at a local hospital that offered a number of women’s health programs, and the hospital agreed to sponsor the group. In response to a newspaper ad, more than 30 at-home moms (with babies and toddlers in tow) from all over the Charleston area came to the initial meeting, eager to meet other moms for conversation, advice and parenting tips. The hospital provided childcare for the kickoff. We elected officers, agreed that non-officer members would take turns providing childcare at future meetings, and set to work planning activities. The members were primarily college-educated women who’d left the work force to focus on raising their children. We had picnics, birthday parties, park and playground meets, beach and pool events, trips to the fire station and other mother-child activities that everyone looked forward to. Our kids made friends and had fun, and so did we. Play dates and occasional Mom’s Nights Out were sanity-savers. At the monthly meetings, a discussion leader moderated a conversation about parenting topics the members had chosen, and everyone got to share thoughts and ideas, and learn from others. Over the next few years, we launched two additional chapters in other parts of the Charleston area with more than 75 women participating. I learned so much from those amazing, supportive moms — and truly appreciate having them in my life! In fact, I don’t know what I would’ve done without them. And I formed special friendships with four women in the group that continue to this day — 23 years later. We raised our children (with lots of encouragement from each other), re-entered the workforce and sent the kids through college. Several of us got divorced and several women moved away, but we cherished the tight bonds of motherhood — and the shared sisterhood — through the years and across the miles. The earnest young mothers we were when we met have gained confidence and matured, and the children who brought us together have left the nest — but we’re still tight. They say it takes a village to raise a child, but it also takes a village to support a child’s mother. This entry was posted in at-home mothers, FEMALE, formerly employed mothers, mothers and more, mothers group, play dates, playgroup, starting a mothers group and tagged at-home mothers, FEMALE, formerly employed mothers, mothers and more, mothers group, play dates, playgroup, starting a mothers group. Bookmark the permalink. What a great accomplishment and it is awesome how you got lifelong friendships too! Very inspiring for young mother’s who feel the same. As one of the women who benefited GREATLY from FEMALE, I want to express my gratitude for your hard work organizing the group. Many long-term friendships grew from that amazing support/fun group. When you see (or feel) a need — do something! Wonderfully inspiring. Glad you had such a wonderful experience and made life-long friends! ooh… really like how you closed it with the last line, “They say it takes a village to raise a child, but it also takes a village to support a child’s mother.” You summed it up so well. It’s interesting, because when I think of the “village” it takes to raise a child, I often think about my relatives in Asia, and how all the families live in community- so literally, aunts, uncles, cousins are all caring for each other’s children, and it’s very normal and instinctive. So naturally, the village also supports the mother, because the mother is a vital part of the village. When we contrast that to how families live in the States, and how everyone is their own nuclear family in their own single family unit that doesn’t interact with the community much… only then do I realize the lack of support for both the children and the parents. 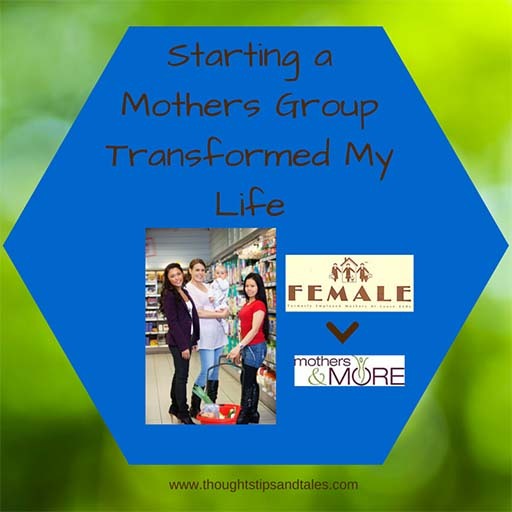 It’s awesome you started the mom group and kept in touch with the other women for so many years. Thanks so much for your kind words! And I can see you really know what that last line means! I could have benefitted from something like this so much when I had my first child in the winter (18 years ago tomorrow!) I stayed shut in the house a lot and felt very isolated. My son was born in the winter, too, and it was tough! Am trying to spread the word so other new moms can get support and make new friends right away. The feelings of isolation hit so close got home for me. I became completely isolated when i became a stay at home mom, which led to depression, and eventually, divorce. I can’t help but wonder if something like this would have saved my life as i knew it then. Glad things turned out well for you. Great job taking the initiative. Yes, we sure need support and encouragement from moms walking the same path! I have a moms group at my church that I’m so blessed to have. Emily recently posted…Mommy Wars. We DO Have Something in Common. Life Breath Present recently posted…What Do You Consider? Love this! I agree 10000% I would not be the mom or woman that I am today without the wonderful influence of a mom’s group that I joined many years ago! 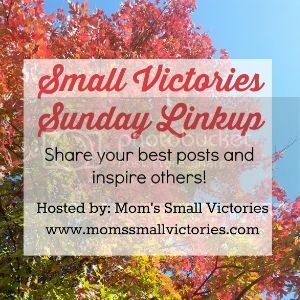 Rach D recently posted…Come Join The Party & BE ENCOURAGED!!! It’s Mom 2 Mom Link Up Time! It’s so important for moms to have other moms to connect with. Thanks for sharing with us at the #HomeMattersParty this week. We hope you will link up again next Friday. So great that you stepped out and formed this group and lasting friendships! And I love that quote – you always here it takes a village to raise a child but so true that it takes one to support a mother – especially a new one – and no one thinks of that! Kristina and Millie recently posted…Retro Re-pin Pinterest Linky Party #27! Sounds great wish we had one like this in our area! That is a very inspiring story to motivate anyone to get out and start something where you see the need. Great job. And you filled the need. Love it! Thanks, Kim. I don’t usually enjoy most existing groups (for some odd reason) so I’ve started several of my own – including a book club that’s been active for 8+ years. When you do that, you get exactly what you’re looking for! And you always get more out of it than the time you put into it.